Your iPhone is a valuable device because you store important data/information to use it. However, there might be multiple instances when the stored data such as SMS are lost. These could be deleted SMS accidentally, virus attack, unauthorized access of your iPhone by others. Also, the iPhone is one of the most vulnerable devices it may be stolen or damaged. However, don't lose hope. There are good quality iPhone SMS recovery software in the market that you can use. And here we will discuss top eight best ones, including both free and paid software. 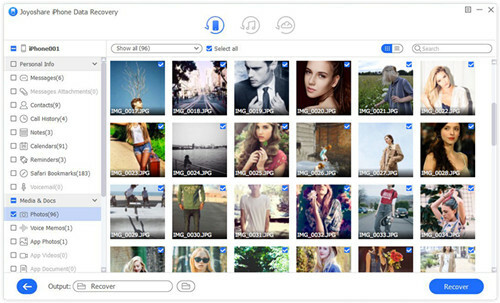 Joyoshare iPhone Data Recovery can be used for iPhone, iPad, and iPod touch device easily. It can recover over 20 types of files from iOS devices including SMS. Other supported file types are iMessages, WhatsApp/Viber/Kik messages and attachments, contacts, photos, videos, etc. With Joyoshare SMS recovery software, you can get lost messages from iOS device directly. 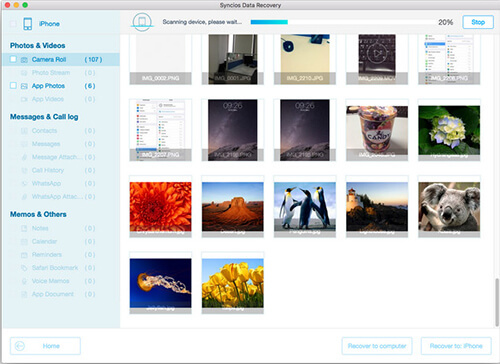 You can also scan and bring back any files that are in the backup in iTunes and iCloud safely. Thanks to the advanced technologies adopted in this program, it enables you to recover lost iPhone data at an ultra fast speed. Besides, you will not face any hassles while using it because of its well-defined and clean layout. And this helps in making the recovery process simple. 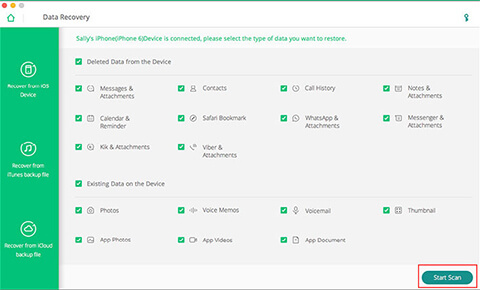 PhoneRescue for iOS helps restore SMS and other messages that got deleted accidentally or lost because of different situations like system crash, device stuck, water damage, iOS upgrade failure. Even when your device is lost or stolen, you can still get the data restored from iTunes or iCloud backup files if you have. Additionally, you can preview the lost text messages and recover them selectively. Primo iPhone Data Recovery is yet another great quality iPhone SMS recovery software. It enables to recover messages that were deleted because of any situation - the failure of updates, the password is forgotten, damage due to water. It offers three modes of recovery make the success rate higher. It can recover as many as 25 sorts of iOS data including SMS from iPhone, iPod/iPad. It works in all iPhone models. It can remove messages that were deleted and other iOS data from iCloud/iTunes backup. iSkysoft Toolbox enables to recover lost data for your iPhone, iPod Touch and iPad. 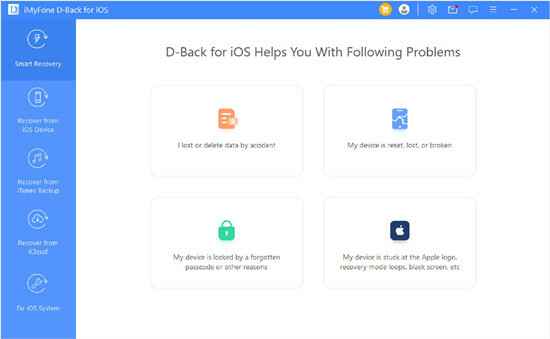 Whether your iPhone is locked, stolen, you forgot password, you accidentally deleted data, damage due to water happened, the system crashed, iSkysoft recovers all the data. The process is fast and easy. 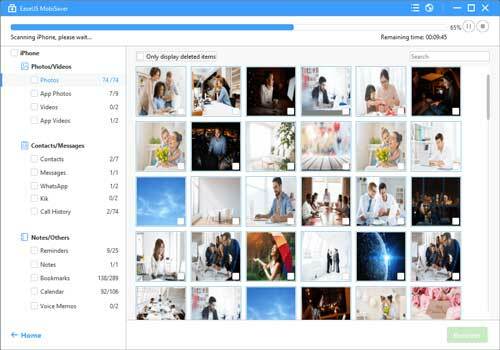 It can recover photos, SMS, call history, notes, calendar, Safari bookmarks, voice memos, contacts and more. 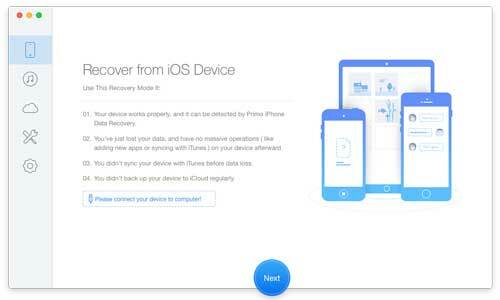 It has three recovery modes (iOS device, iCloud Backup and iTunes Backup) to bring you back all lost or deleted data on your iPhone. Dr. Fone for iOS is an iPhone SMS recovery app that enables recovery of diverse iOS files such as iMessages, contacts, photos, voicemails, SMS. It has a preview function. This enables you to look at the preview of the deleted messages or iMessages before they're recovered. EaseUS MobiSaver is an iPhone SMS recovery free software. It can recover the lost SMS or iMessages. 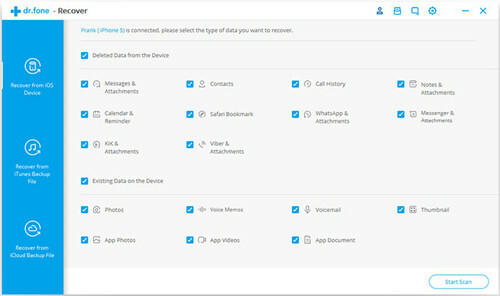 It scans your iPhone, iCloud backup and iTunes backup so that it can trace the lost files that you are trying to recover. It can also enable to retrieve data when your iPhone is not accessible. The process of recovery involves a few clicks. Syncios Data Recovery can enable or get back all deleted lost data in your iPhone. Syncios Data Recovery can recover SMS and other data types including audio files, documents, video files, and contacts. Syncios Data Recovery works for all iPhones, iPad as well as the iPods. 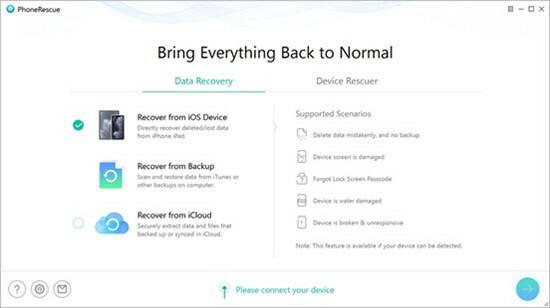 iMyFone D-Back can enable you to recover the data in all iOS devices whose data have been lost. Using iMyFone D-Back, you get back the lost SMS, WhatsApp texts, contacts, notes, call history, photos. Further, the software can easily and quickly bring back the data from backup (iCloud), iTunes and even from the iOS device. The slick preview function feature enables to check and recover whatever you wish to recover. With so many pieces of iPhone SMS recovery free and paid software, it is important to consider parameters like the ease of use, simplicity, user-friendly features in a particular program. Further, it is also important to the operability of the software in a particular version of iPhone - it should be compatible with the feature of your iPhone. Moreover, the iPhone SMS recovery should be easy - it should be able to perform 100% revival of the files. And, the more important thing is to consider the price of the software - it should bring a good value for your money. Taking all these factors into consideration, Joyoshare iPhone Data Recovery could be your top priority. Recover iPhone Text Messages? Solved!